Today many of you are using Android devices and as we all know Android is now one of the leading smartphone OS. Using multiple facebook accounts on Android is not an easy task as you have to log out from one account and then signing in another. That’s why today we will show you a simple way to use multiple Facebook accounts on Android. We bought you a easy methods that will help you run multiple facebook accounts on your Android smartphone. Facebook is the one of the most popular social site in the world. According to the present world every class of people use facebook at their pastimes. Most of our people use their Facebook account in their android device. There are lot of people who have more than one facebook account and they want to access their facebook account at the same time. But there is a question how ? Don’t worry we will solve your problem easily. We will show you the simplest way to access multiple facebook account at the same time. First of all you need to download an app name friendscaster. You can download it by simply click here. After that you can see login option there. Now Enter your Account ID and Password. After login click on Settings which is at the top. After that select Accounts from the settings menu. Now you can see a primary account there. Now you need to click on add another account. Now you need to Enter the complete details of another account which you want to login. That’s it you are done. This is the simplest process. 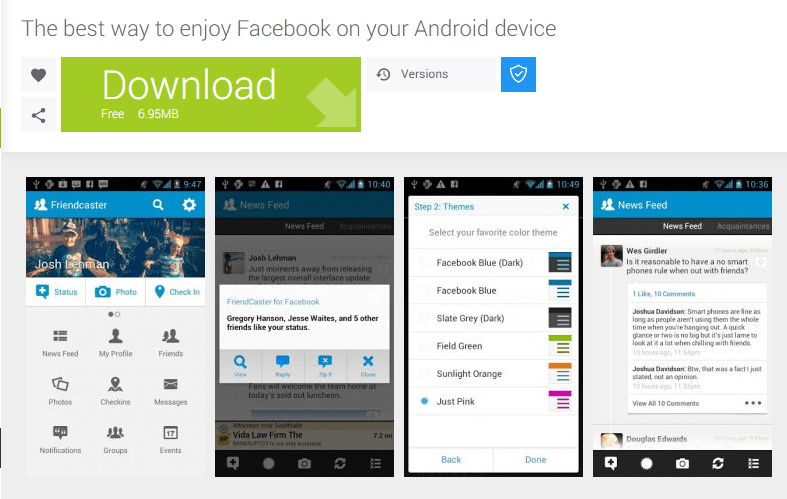 Through this simplest way you can access multiple facebook account in your android. Hope you like it.